Performative Lectures à 6:40 min. Ein Gewirr aus Stimmen von: Heike Geißler, Tobia König, Juliane Würfel, Tess Marschner, Alexandra Ivanciu, Anna Lebedev*a, Katrin Erthel und Olivia Golde, Sophia Eisenhut u.a.m. 14 h Diskussion – wessen Freiheit? Wann erfahren wir strukturelle Benachteiligung, Sexismus, patriarchale Macht? Wie werden diese Erfahrungen durch die Forderung nach künstlerischer Freiheit legitimiert oder gestützt? Widmet sich die Institution Kunsthochschule ausreichend der Aufgabe, Chancengleichheit zu schützen bzw. herzustellen ? Was hat dies mit unserem künstlerischen Arbeiten zu tun? 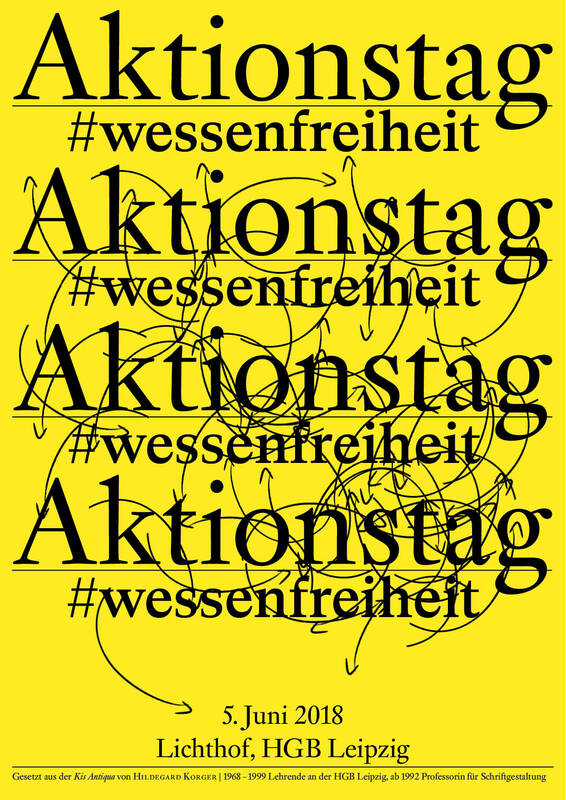 Following the #wessenfreiheit call for campaign days at art academies and institutions, we publicly position ourselves at the Academy of Fine Arts Leipzig on the discourses of #MeToo, #notsurprised and in general the debate on the freedom of the arts. The aim is to increase an awareness of gender-based discrimination within the academic art world and the visibility of different topics in the context of gender, abuse of power, privileges and discrimination. When do we experience structural disadvantage, sexism, abuse of power? Is our academy adequately dedicated to the task of protecting and producing equal opportunities? What does this have to do with our artistic work? Our program addresses these questions in a variety of formats! Unfortunately, the discussion round and most lectures will be held in German. The movies and some artistic works are in English / with English subtitles.